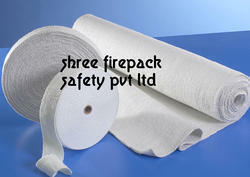 Leading Exporter of refractory ceramic fiber from Ahmedabad. Refractory ceramic fiber wool until the 1990s, is one of several types of synthetic mineral wool, generally defined as those resistant to temperatures above 1000°C. Due to the costly production, and limited availability compared to mineral wool, refractory ceramic fiber products are almost only used in high temperature industrial applications and processes. Looking for Refractory Ceramic Fiber ?